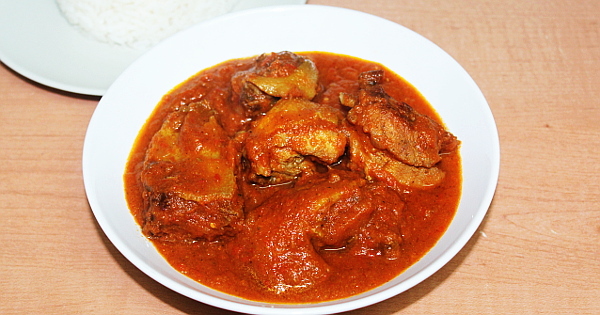 Stews and Sauces are essential to Nigerian gastronomy. 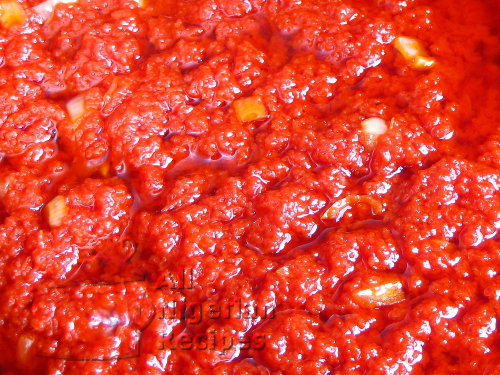 Most staple foods are cooked plain and eaten with either stew or a sauce. This makes Nigerian foods one of the most versatile in the world. With one staple food, you can have up to a dozen different tastes. Really, there is always food for everyone in Nigeria. 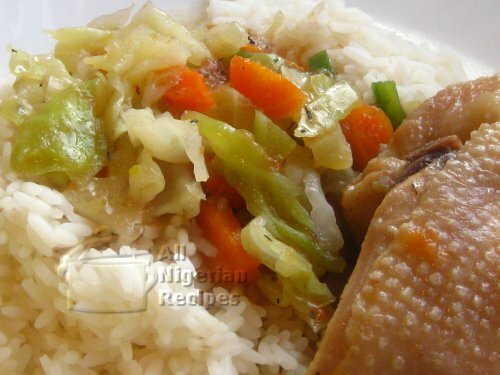 If you do not find the recipe you are looking for below, you may be looking for a Nigerian Soup. Nigerian Soups look like sauces, the only difference is that we use Nigerian Soups to eat Nigerian Fufu Meals and use stews and sauces to eat rice, yam and other staple foods. 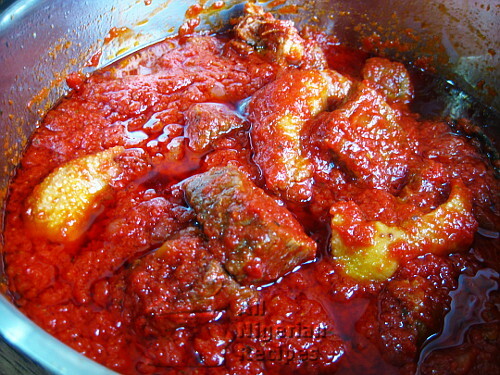 Click here for Nigerian Soups. Do you prefer videos? 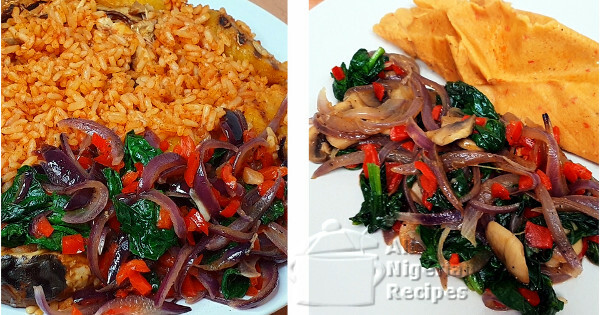 Then watch all the Nigerian stews recipes videos here. 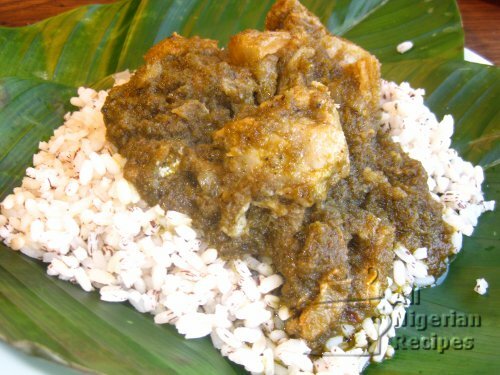 This one is a Benin original recipe! 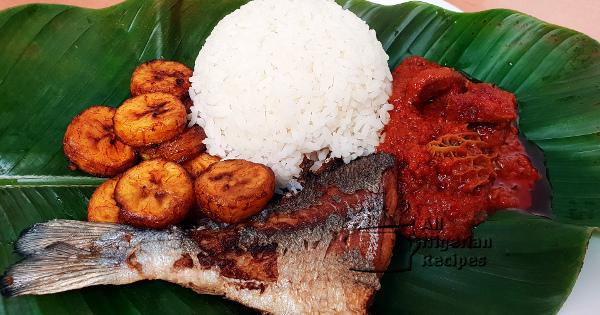 If you have ever stopped over while travelling to/from Lagos from Eastern Nigeria, to eat some rice in Benin, you will know this meal. 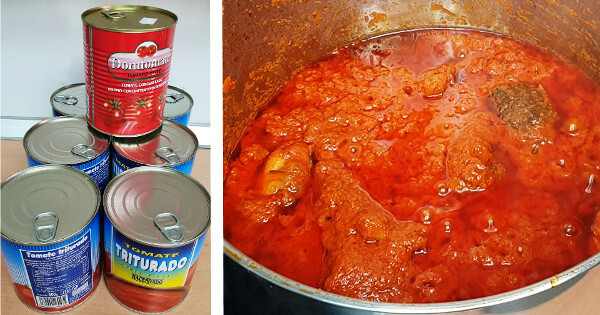 For your convenience, here is the recipe for Nigerian Tomato Stew prepared using only tinned tomatoes. This is the classic Nigerian Tomato Stew without the fry-fry that usually happens with lots of oil. And it tastes so good! Click here for the video. 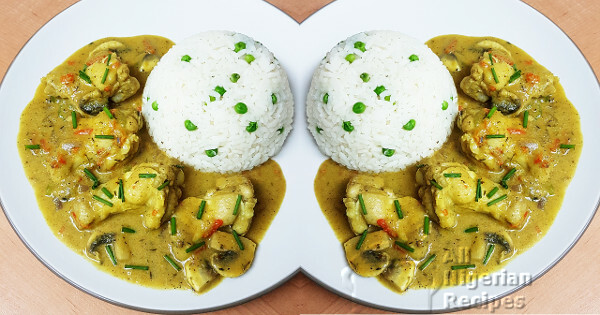 Coconut Curry Sauce is a sauce you want to eat when you want to feed your tastebuds something challenging. 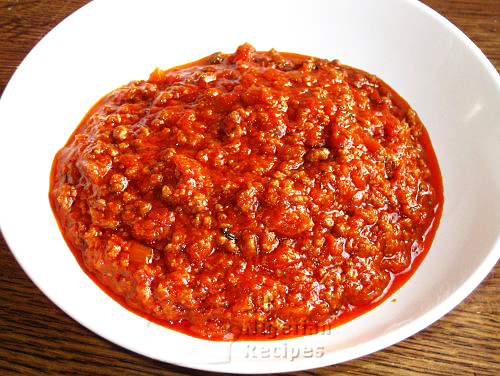 An easy, quick and delicious sauce that goes well with all boilable Nigerian staple foods especially Boiled Yam. A tasty side dish that will pimp up your dishes from 0 to 100 in no time! Goes well with lots of meals, check it out! 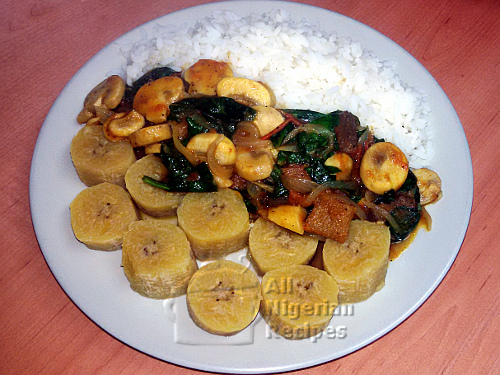 The one size fits all stew for all Nigeria staple foods! It goes well with every boiled staple. A very simple side dish to many meals. 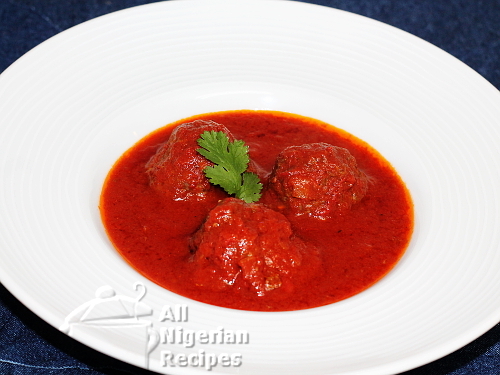 Add a nice twist to the classic beef stew by using juicy meat balls instead of lumps of meat. 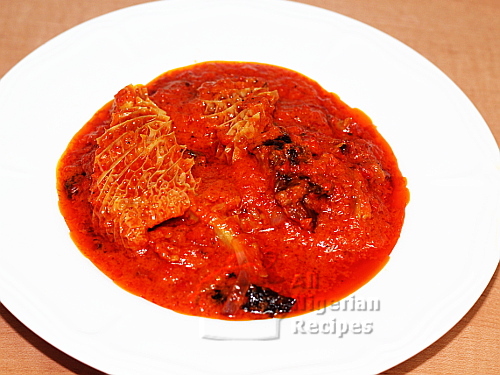 See how to cook the Igbo traditional stew: Ofe Akwu (Banga Stew) with tinned banga. 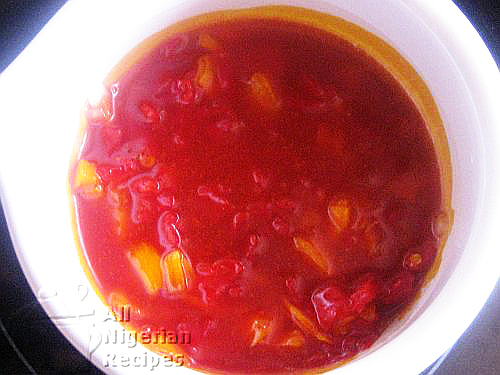 See how to prepare and enjoy Nigerian Pepper Stew without setting your mouth on fire! 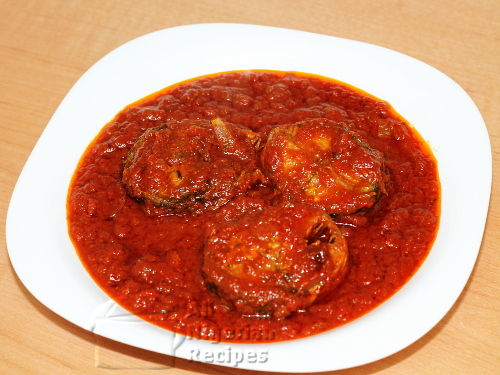 This is how to make Nigerian Fish Stew with fried fish such that the fish does not disintegrate in the stew. 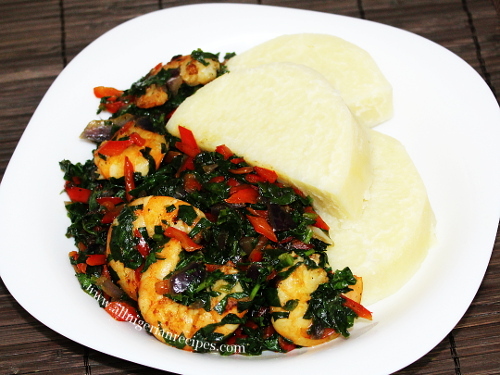 This is the perfect sauce for boiled white yam and boiled unripe plantains! 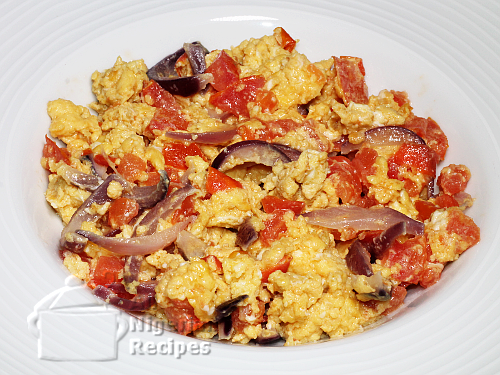 Egg Stew is one of the best things that ever happened to Boiled Yam! Need a traditional stew with lots of pepper? 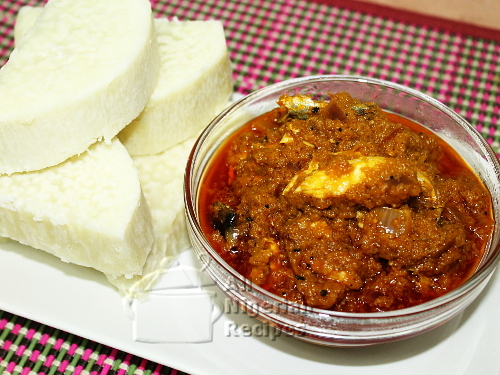 Ofada Stew is your best bet! Get some steaming experience from your salad vegetables with this recipe. 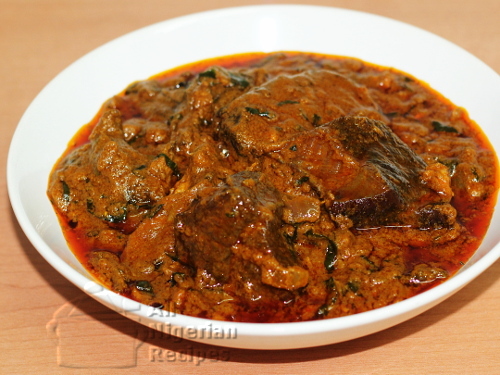 The most popular of all Nigerian stews is the base for lots of Nigerian recipes. A real time saver when prepared in large quantities. 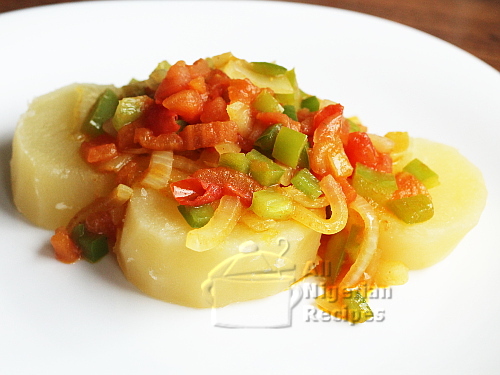 Curry Gravy is a very quick and easy “stew” for boiled yam and boiled potatoes! This spicy sauce for Boiled Yam, Boiled Plantain, Roasted Plantain etc will leave you asking for more. 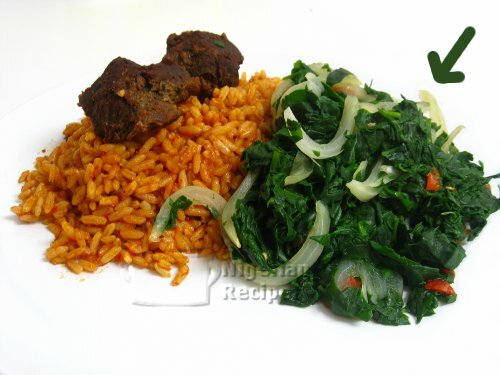 This is the simple, perfect match for Jollof Rice, Coconut Rice, Rice & Beans, Fried Plantain and Nigerian Moi Moi.